sweets | Oh Happy Dae! 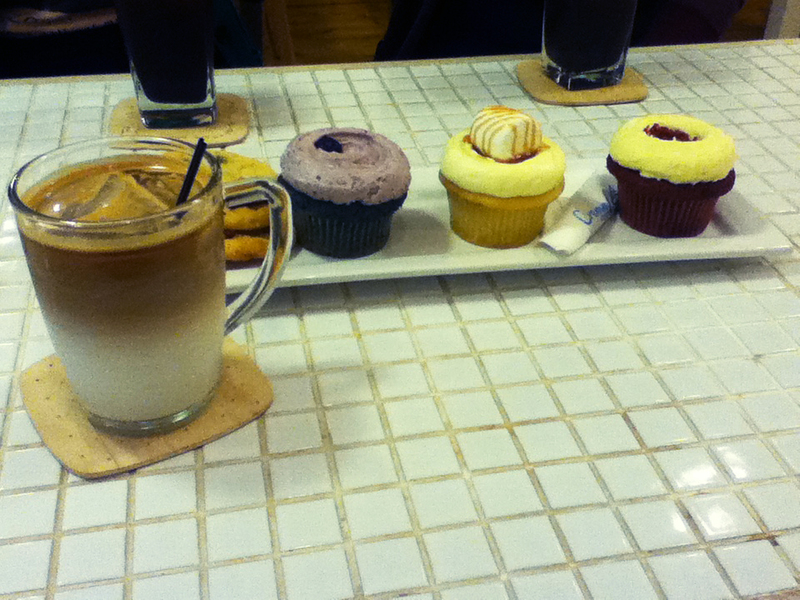 With the some help from my friend Sophie I was able to discover two rather pleasant cafes here in Daejeon. 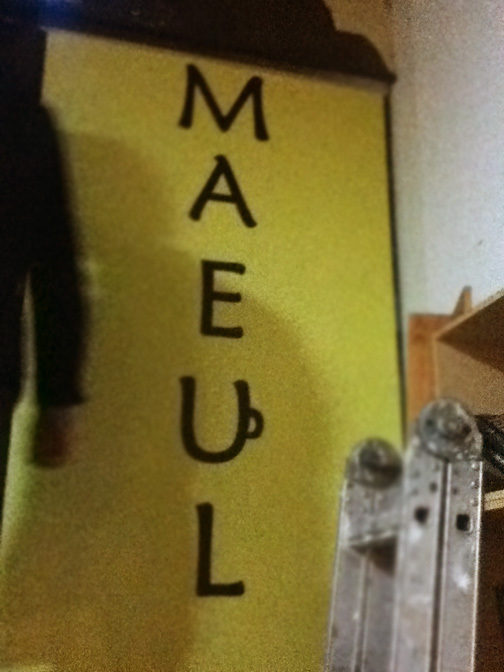 The first is Cafe Maeul. The cafe is located in the area surrounding Chungnam University. I didn’t even really notice it at first. 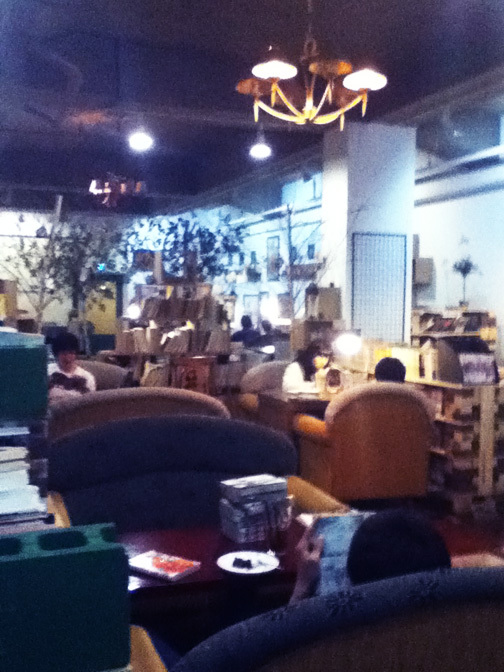 Tucked down a small set of stairs is this quaint space with numerous bookshelves, all lined with manga. All the books are in Korean, of course, but it was neat just the same. I don’t read manga anymore, but I believe my high school self would have approved. If you order a drink you have access to the small amount of board games they have handy (My friends and I settled on Halli Galli that day). I ordered a hot chocolate and when it came I was presented with a mug of hot milk, small cup with melted chocolate, and a whisk. I really liked the idea of mixing up my own hot chocolate, but unfortunately the chocolate didn’t melt/blend well with the milk. I personally can’t drink a lot of milk, so I wasn’t able to finish. I can’t vouch for the other drinks, but my friends seemed to enjoy their fruit juices. 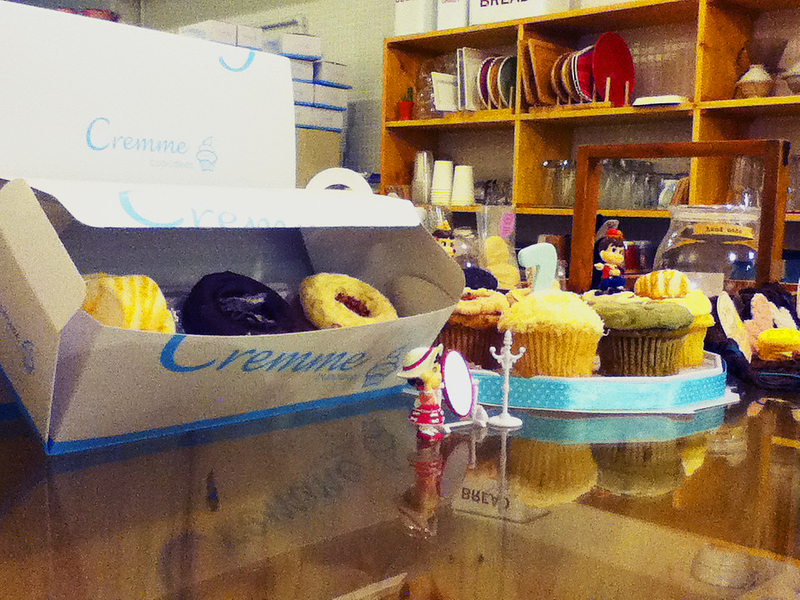 The other cafe I went to recently was Cafe Cremme next the City Hall subway stop. This wonderful little shop happens to sell one of my favorite treats – cupcakes! The cupcakes themselves are rather pricy. 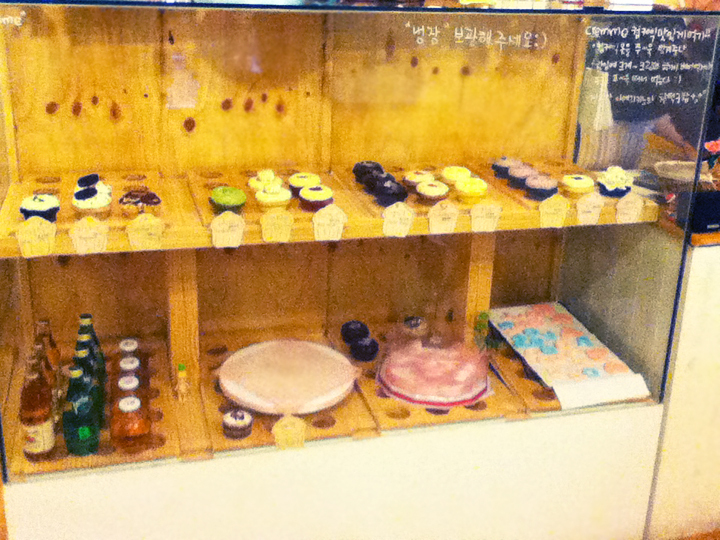 One average-sized cupcake is going to set you back around 3,500-4,000 won. I suppose as long as you aren’t eating them every day then it’s an all right ‘once-in-awhile’ treat. Between the 3 of us, we ordered red velvet, white chocolate caramel, and blueberry. I also ordered an iced vanilla latte. All of the cupcakes were sweet and delicious of course. Still, our favorite was definitely the red velvet. The cake was sweet and the frosting was like buttercream. The blueberry was a close 2nd. It was basically just a sweeter version of a blueberry muffin. The white chocolate caramel was also good, but almost too sweet. I also thought the frosting, compared to the red velvet, was a little too stiff. The marshmallow on top was a nice touch though! Oh, and the vanilla latte was wonderful. I’d go back to have that for sure. If you want to check them out give their website a look – Cafe Cremme.